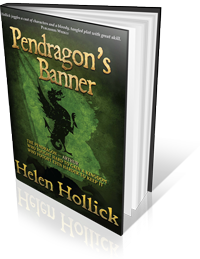 Recently I had the privilege of enjoying a virtual book tour of some US book blogs to promote the release of the third in my Pendragon’s Banner Trilogy – Shadow of the King. The format for these entail copies sent to various Bloggers who then post a review and often include a “virtual” interview of some kind. The interview usually consists of questions sent via e-mail for the author to answer. One of these interviews from Jan "Devourer Of Books" (link is on side bar) was highly interesting, and a pleasure to answer – I have decided to expand my view here as an article. My thanks to Jan for permission to re-produce the original. In fact, unless the woman happened to be someone powerful like Queen Emma of England, Eleanor of Aquitaine or Elizabeth I they were regarded as little more than slaves and chattels to be used and abused by the menfolk. Hereward? The Real Robin Hood? When I started writing – back in the days of being a short-sighted teenager who lived in her own very naive cocoon, with the rest of the world being unfocused, confusing and rather scary – I happily wrote pony stories and the occasional “fan fiction” spin-off to TV programs. Robin Hood (the Richard Greene version) Arthur of the Britons (Oliver Tobias) and a few westerns. 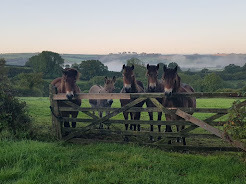 All of them fitted well because being horse-mad I could also write about the horses. Apart from my Dad and, eventually, my first boyfriend, men were alien beings. I was short sighted shy, and very successful in the Wallflower department. Back then I would never have believed I could write intimate scenes as a male character. 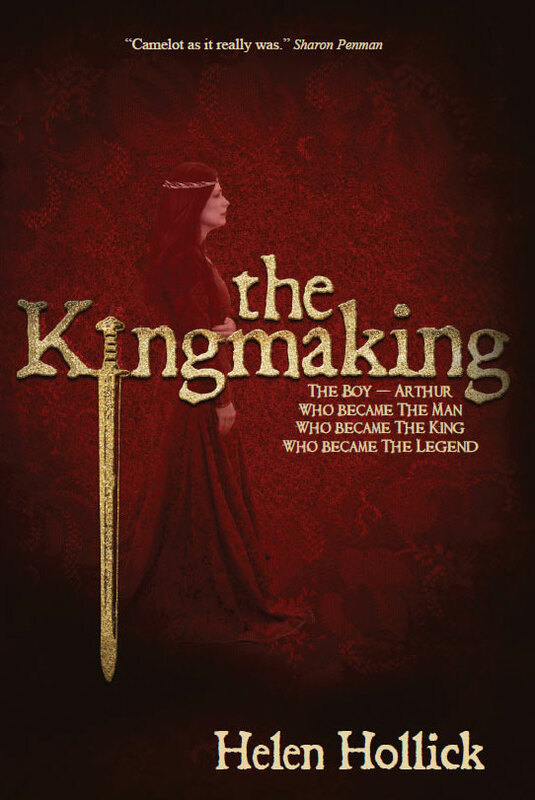 My interest wavered towards science fiction, and I wrote numerous stories from the heroine’s point of view, but becoming interested in King Arthur, Guinevere’s story became a new passion. It eventually occurred to me – can’t remember how or where now - that the story would be better written third person and with Arthur as the lead character. 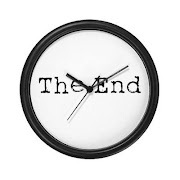 Cut a long story short (LOL – my novels are somewhat large!) I have written comfortably from the man’s view ever since. From Arthur via King Harold II to my pirate, Jesamiah Acorne. The one novel I have written as a female lead, A Hollow Crown – to be entitled Forever Queen in the US – I had difficulty with. Initially, I could not get into Queen Emma’s head. Æthelred, her first husband, I had no respect for and it was only when starting to write the scenes with Edmund Ironside and Cnut that the whole thing at last began to gel. 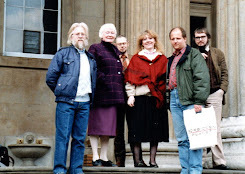 I have been bogged down with re-editing Crown/Queen in preparation for the US release in November 2010, and have had to set aside my beloved pirate for a while – working on one book at a time while dealing with my elderly mother’s death, sorting out getting my cataract seen to, and running a household is enough of a plateful. Sharon, that was over ten years ago and I still can’t think of anything good about the man! 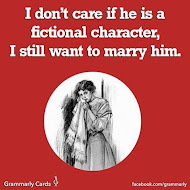 So to write a whole novel with him as a central character? No way. Hence there has been no novel. Yet. The little research I have done for ‘Hereward – A Lost Kingdom’ (working title) has proved intriguing, and I intend to write Hereward’s story, which will compliment A Hollow Crown/Forever Queen and Harold The King, weaving in an out of the two stories that are already written, and filling in the background gaps of what was going on through the years from circa 1040 - 1087. Hereward escaped, his wife was killed. He became an outlaw and wandered for several years, a desolate failure, in the dense forests. The niece of a bishop took pity on him, became emotionally involved and begged King William to grant a pardon. The two were wed, and may have lived happily ever after, although William’s men, resentful of Hereward, accused him of treachery. We do not know if he was then executed for treason, died a natural death, or lived to a ripe old age. You will have to read my novel to discover what I eventually unravel or decide. But it struck me that some of this story sounds familiar. Son of a nobleman Earl? Comes back from being abroad for a long time? Rebels against the King and lives as an outlaw in the Forest… a forest that, then, spread from the east coast to Wales - and remains today as what we call Sherwood. All stories start with a spark, a flame of an idea. Was Hereward of Mercia, the last Englishman to defy the despised Normans and William the Conqueror, the basis of the tales of Robin Hood? 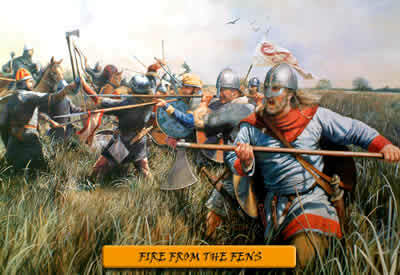 Image photograph: Fire From the Fens a painting of Hereward’s campaign against the Normans by artist Chris Collingwood. * The Robin Hood movie released 2010 - starring Australian Russel Crowe - hope you got the jest! Anne, I do feel the Robin Hood story started somewhere - and that Hereward was the foundation. Look at the Arthur legends - they "began" in the 6th Century but were not turned into popular stories until a good few hundred years later. As for loathing William - I do. 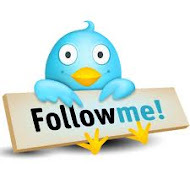 Utterly and completely, as do many of Harold's "followers". Please don't think I'm daft or anything, but I am English, my great x ?many grandparents were English. I have a very firm conviction that somehow my ancestors were connected to Harold, or Hastings - or maybe just the despised Normans, either way I know that loathing William is in my blood. It's not one of those things I can explain as scientific fact - I just "KNOW" it. I have not yet been down to the battle site at Hastings without feeling a huge sense of rage against the Normans - right down to the depth of my soul. So this is a "soul" thing, a deep ancestral emotion that has been passed down through the genes along with the shape of my nose, my blue eyes and fair hair. And I primarily write for my own pleasure, if I can share my pleasure with other people all the better - but writing is hard enough without forcing yourself to write about people you can't stand! LOL. I will do my best for this novel though, I promise! H p.s. What do other authors think, I wonder? How do you deal with characters you don't like? Helen, i saw your topic and just had to put in something. i have long been a fan of Robin Hood (and King Arthur), and have been reading anything i could get my hands on concerning a new take on the tale. In fact, in my student/intern teaching stint that just ended, i was teaching about the Middle Ages of Europe and so going back through some of my resources, as well as grabbing the last of a trilogy of books of a new take on the Robin Hood legends. apparently, there is some written record of a real person having the name "Robyn Hode" and similar spellings back as far as the late 1200s - so there was a real person by that name, and he was listed as an outlaw. i think you are on a good track with linking Hereford. i was just gifted with a new book, "Great Tales from English History" by Robert Lacey, wherein i have been learning a lot about these people you mention that i have never heard of or never knew that much about! i'm loving it, and finally understanding a lot of the interaction and connections of events and people and places around England! at risk of being really rude here, and i hope it isn't, but i thought you might want to take a look at the Raven King trilogy by Stephen R. Lawhead. He also saw some connection between the legend of Robin Hood and Wales. now that i am done with school and have more time for my own reading i plan on catching up with all of your books that i am missing! and i'm looking forward to your coming projects! can't wait for your next book! Archivist777 thanks for your comment and interest. No I haven't read the Raven King series - but I did meet Lawhead once. 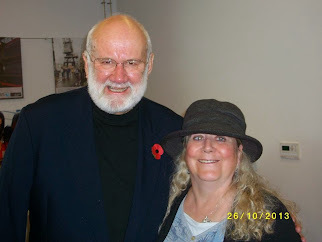 A very charming man who helped a nervous new writer (me) when we were on a panel at an Arthurian conference in Cardiff. But I have read Lacey's book! Anne - glad I am not the only one to find William "difficult! Helen: The only way I could really deal with King William at all, at least to begin with, was (a)to take a kind of "fly on the wall" approach and so I made a decision to be as completely even-handed as possible. As I continued my writing, this approach changed somewhat, because I became very "invested"in my main characters, and identified in various ways with all of them, both male and female. In this way, I'm "equal opportunity". I can write from both a male and female pov if I've learned something about them, which is what has happened as I've been in the process of writing this work. King William has less of a role, but what role there is remains menacing and unpleasant(which was the only wya I could deal with it. 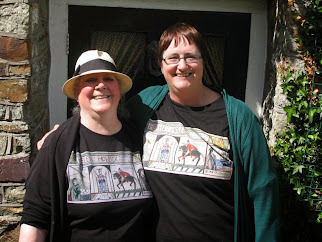 Anne - I set out to be unbiased when writing Harold the King. My intention was to let the reader decide who should have won at Hastings. By the second scene of William's though, I had already changed my mind. I had slightly disliked the man but as the story started writing itself I ended up loathing him. Every time I go to the Battle of Hastings re-enactment in October at Battle the loathing gets worse and worse. I utterly detest William now! I am convinced an ancestor of mine must have crossed paths with the b*stard! 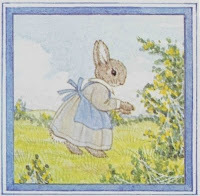 The first female I fell for was the Little Grey Rabbit in Alison Uttley's charming books. I loved those stories! An early memory is coming out of the Children's Library in the High Street Walthamstow clutching one of those books to my chest, so thrilled because it was one I had not "read". I was about 3 1/2. I didn't think much of Squirrel, I thought her a bit of a muffin, but Little Grey Rabbit was so kind and thoughtful and lovely. How she put up with Hare's antics I never understood. So I met the next female to influence me on that disastrous birthday – Jill Crewe lead character in Ruby Fergusson’s Jill’s Gymkhana. It wasn’t just that I could identify with Jill – and so easily pretend that I was her, and share her pony, Black Boy as if he was really mine. I learnt about ponies alongside Jill’s attempts to ride and her fumblings to tack up, muck out, care for her pony. I WAS Jill! And the Jill books opened the world of pony stories to me. 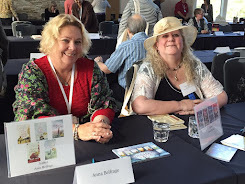 Soon the Pullein-Thompson sister’s books followed, and Pat Smythe’s Three J’s – and Monica Edwards (ah The Summer of the Great Secret and Wish for A Pony – I still have those on my shelf too!) Elayne Mitchell’s Silver Brumby… What I discovered from these books was that the world of fiction could be so absorbing that it became real. A substitute for the disappointments of life. By the time I was 13 I was writing my own pony stories. 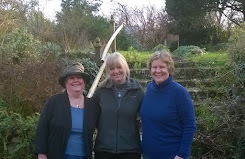 So Jill Crewe (and Ruby Ferguson) started my writing career. 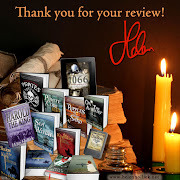 The first historical character I became intrigued with was a girl who found a green bronze mirror – I was 14 when I read the Green Bronze Mirror by Lynne Ellison – who I now discover, was only 14 when she wrote it. The girl, Karen, finds a bronze mirror and goes back in time to the Roman period (I think Pompeii?) I vividly recall some scenes in the book though – and I’m delighted that I’ve tracked down a copy. 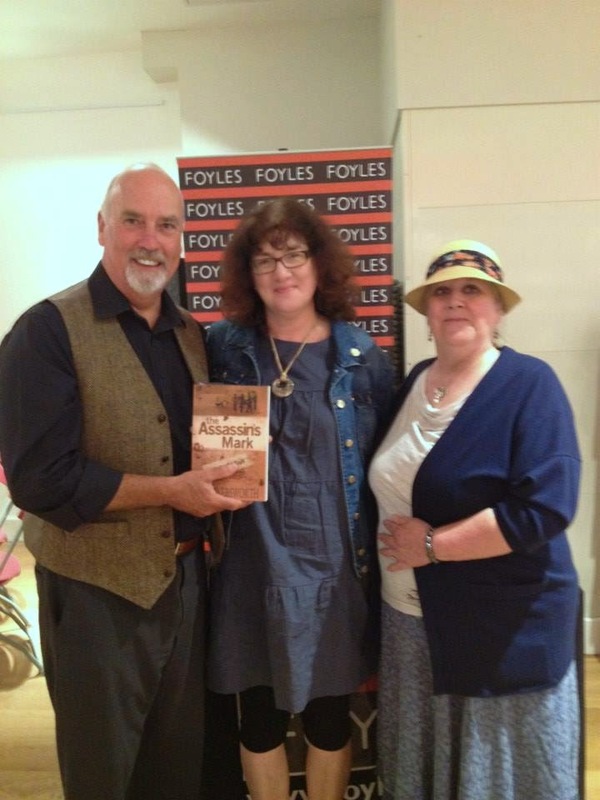 Writing historical fiction – how much of it should be historical, how much of it fiction? I have a confession to make; well a couple actually. One of the reasons why I so enjoy writing my Sea Witch Voyages is that because they are more adventure fantasy than historical adventure, it doesn’t matter if I get the “facts” wrong. 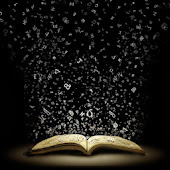 The books are stories - sailors’ yarns. Woodes Rogers and William Dampier were in Cape Town in 1711 not 1715, as I have written. The books have an element of fantasy running through them. Sorry folks, there isn’t a real goddess of the sea, a woman cannot conjure up a wind. If two men who were real people appear in my story several years later than historical fact records, does this inaccuracy matter? I do try to get the sailing detail correct because I think by making one thread in a fantasy story as realistic as possible all the rest becomes believable – and using incorrect sailing terms will ruin the story. Facts help suspend the unbelievable. A good book makes the unbelievable believable. But how much should be "real", how much "made up"? 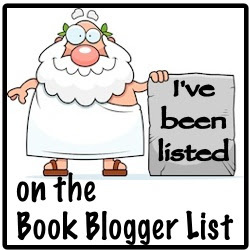 How far does a historical fiction author have to go to provide a good read? Are facts now becoming essential, or is the story the prime importance? One of the reasons why I have not embarked on a follow-up to Harold The King (to be called I Am The Chosen King in the US) is because I did not have the confidence to attempt it. 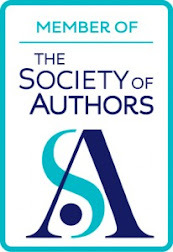 I suddenly felt that other superb writers – Elizabeth Chadwick, Sharon Penman, Phillipa Gregory, Susan Higginbotham etc all knew so much and knew what they were writing about. How could I possibly compete with their standard of intellect? I have no idea of Latin, I have no history degrees or specialities. I merely have a love of the periods I am interested in, and an enormous empathy with my very real to me characters. Is that enough, now, for a modern historical novel? 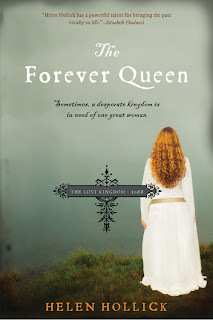 Jean Plaidy, Georgette Heyer, Norah Lofts et al wrote some brilliant books, but they were far from accurate; I think one I read had Elizabeth I as a married queen (I think it was a Plaidy – can’t remember, I was only a teenager when I read it, eons ago now!) 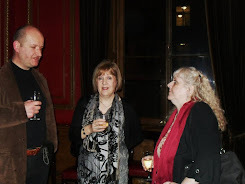 Rosemary Sutcliffe my all time author heroine, made factual errors in her stories. “A sky as blue as a Robin’s egg” is a phrase I remember from her. The American robin has a bright blue egg, the English robin’s egg is much paler. But so what? Her stories bring the past alive! The Gunwales (or Gunnels) are the upper edges of the side (or bulwark) of a vessel, the uppermost planking which cover the timber-heads and reach from the quarterdeck to the forecastle; i.e. from the back to the front. 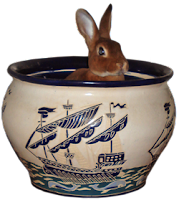 The term “up to the gunnels” means full up, filled to overflowing, coming from when a vessel heels over and her gunnels are almost under water. Now, the original gunne walle circa 1500 was a platform on the deck of a ship to support the mounted guns. The word ‘gun’ somewhat gives it away! Authors writing novels set pre 1500 really should not use this term as it is so out of place. I confess I used it in my first novel The Kingmaking but I changed it as soon as I realised there would not be a Gun Wall on a post Roman boat! 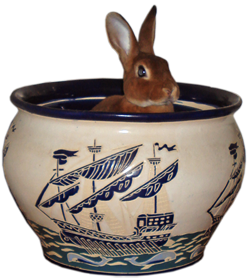 Others out of place phrases I have come across: “He stood still like a rabbit caught in the headlights” ... in a novel set in Tudor England. "Let off steam", "Ok". I know I am being picky, but Elizabeth – Good Queen Bess – referred to as ‘Elizabeth I’ in a novel about Mary Queen of Scots? Until 1953 she was the only Queen Elizabeth so people in the Tudor age would not have called her 'Elizabeth the First'. Swear words. The “F” word is of Dutch origin (Fok: meaning to penetrate) and first came into use with the spread of the Dutch East India company and the merchant shipping empires, circa 1600’s. On the other hand, any author using “Gadzooks” or similar unless writing comedy, would be laughed out of a bookstore! In a way, does it matter what words are used though? Romans would have been talking in Latin, Saxons in "Olde English"; we are writing in modern English - a translation if you like, o mmaybe it is OK to use OK? Or is it? Out of place words do not create the right atmosphere - do not add to the illusion of believability. We all make slips - authors are only human - but I suppose there are slips, and there are slips... Romans eating rabbit and potato stew ruined a novel I was reading. A little thing, but it made me feel I couldn’t believe the rest of the story. Surely everyone knows that potatoes came to England during the Tudor period? Maybe not so widely realised, the rabbit was introduced by the Normans. In Harold the King I mentioned snowdrops. I searched high and low to discover whether we had snowdrops in the English countryside circa 1066, couldn’t find a single reference so went with it. A few months later I discovered the little white flower came to England much later, and is not a native plant. Oh well. I have to add here, the slip of "double headed axe"! in Harold the King was a publisher's typing error that never got corrected. I had written double-handed. I have had a few American readers contact me about being incorrect to use “corn fed horses”. Ah, now this is a difference between American English and English English. To an American “corn” is corn on the cob – yellow sweetcorn. In England the term “corn fed” means a horse well fed on oats and barley, as opposed to grass or hay. In other words a horse belonging to someone with wealth and land, able to harvest enough to feed people and horses. 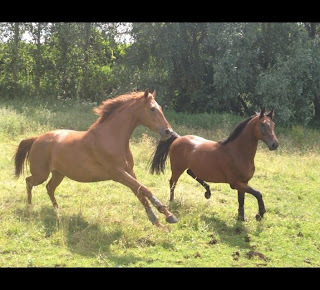 A “corn fed” horse is fitter, more able, as corn will “hot” a horse up. Racehorses are corn fed. 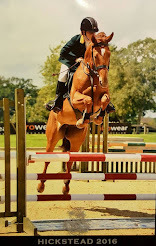 A children’s riding pony… not a good idea! And technically all horses were horses, not ponies. 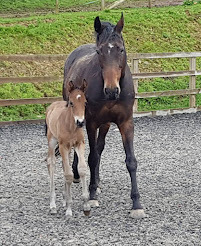 The word 'pony' is quite a modern invention, but how many of us authors are going to write "little horse" - especially when considering prior to the 1100's most horses were little, what we now call ponies, anyway! So how far do we go with accuracy? I read with interest a note Sharon Penman recently put on Facebook. She has used accurate moon phases for the novel she is writing about Richard I and the Crusades. While writing Bring It Close, I became aware, during editing, that I had a full moon half way through October and it was still a full moon two weeks later. These sort of inaccuracies are most important to check, I think, because otherwise the author is not bothering with the detail of continuity. And if the author can’t be bothered with his or her story, why should the reader? I once mentioned a similar sort of inaccuracy to an author I know – how could her characters see that a valley was beautiful in the pitch black of night? Her answer “No one will notice” appalled me. I noticed, and you can bet your life other readers would. For Sharon’s novel the moon phases are the icing on the cake: when the Muslim fasting for Ramadan starts at the sighting of the new moon in her novel– it really was the start. Thanks to Google and NASA technology these dates can now be checked. But in an ordinary scene where a character is looking at a new moon on the day before the Battle of Hastings, for instance? Does it matter if the moon phase is precise? Maybe if there is a documented mention “the moon was new on the night before battle” then yes, include it, otherwise will it really spoil the story if we make this sort of thing up? 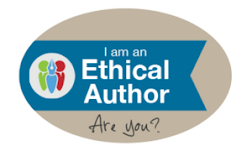 Just how much accuracy are we, as authors, now expected to include? So no one likes pirates eh? Um. Didn’t they say that about wizards a few years ago when a certain Ms Rowling was being turned down left, right and centre? And, er, didn’t they say that about vampires? You can’t move in a book shop now without being stabbed by fangs. The reasoning behind this publishers’ statement? “We know there are not many people interested in pirates because there are not many pirate books being published." If you can make sense of that way of thinking then you are a better pirate than I am. The truth is, pirate novels are not being published because publishers keep saying this load nonsense! You’ve only got to look at Facebook to see that there are just as many pirate people as there are vampire people. Probably more, actually, especially in the USA. A good proportion of my Facebook Friends are pirate people. Even dressed as pirates in their image photos. Now I know there are also Facebook people dressed as Harry Potter wizards and Vampires a la Twilight / Anne Rice / Dracula but by the boatload? No. 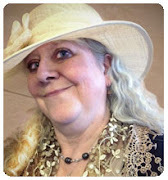 Have publishers and agents, anyone in the publishing world come to that, taken the time to look at how many Pirate Fests, Pirate Ren., Fairs, Pirate Weekends, Pirate Look-a-like events there are in the US? OK admitted most of these are along the coast, but I attended one in Salt Lake City. Quite a way from the sea. How many “Act like a Vampire” days (nights?) are there? None as far as I am aware. How many “Wave your wand like a Wizard” days? None, as far as I am aware. But September the 19th is International Talk Like A Pirate Day. Widely celebrated by adults more than chidren. The place. Premier Inn, Nottingham. Comfortable, clean. Good food, nice staff (little bit pricey, I suppose, but you get what you pay for.) I wasn’t expecting the early morning cabaret entertainment though. 4.15 Sunday morning. A man is out in the corridor shouting down his mobile phone using a fair spattering of the f* word. The general gist appeared to be that he was cross because his planned evening (huh! Evening? 4.15 a.m.?) of entertainment with the females in the room next door had been curtailed. Why? 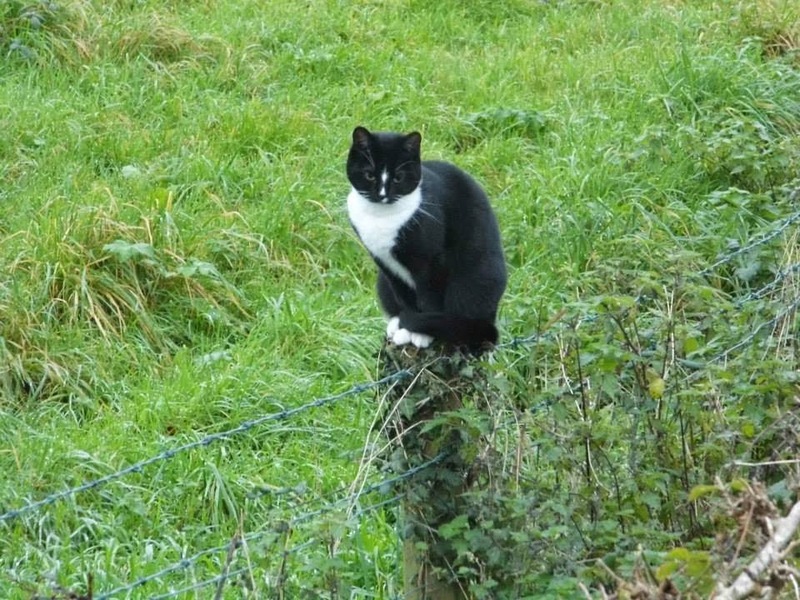 It appeared that he had lost his mate. (how careless of him) Said mate had ended up in hospital, injured, and mate was p’d off at not having his calls for immediate aid and assistance answered. 4.35 Man on mobile in corridor outside my room door agrees to go and collect Injured Mate. He wasn’t in too much of a hurry though, because he spent at least 5 minutes loudly ensuring the Giggly Females in room next door knew what room he was in and assuring them he would be back soon. 5.15. a.m. More door banging, calling out, falling over something that went down with an almighty crash. Giggling, cursing … ah, the Man and his Mate were back and the Giggly Females were still awake then. Good for them. So was I. 5.30. All went quiet. Hooray. 9.15. a.m. Would you believe? Loud conversation on mobile phone out in the corridor. I stormed from my very comfortable bed with the intention of giving a piece of my very tired, very grumpy, very miffed mind to said Mobiler…. Just as well I paused to look through the spy hole first. The reason why I am pleased I paused and used the spy hole? Mr Somewhat Skinny Bruised Face was walking up and down jabbering away into his mobile phone about his face – wearing only a pair of orange underpants. Fredericksburg, by the way, has lots of history itself. One aspect that most people don’t know is that a Scottish merchant captain, John Paul, had to shoot two of his crew for mutiny as he was arriving in Tobago in 1774. The Governor of Tobago told him he’d have to stay there for 11 months so the case could be handled properly by a court, but if he disappeared in the mean time … So, Capt. Paul added Jones to his name and took passage on another ship up to Virginia, where he went to visit his brother in Fredericksburg. Shortly after, the brother croaked, so John Paul Jones inherited his brother’s house, the only piece of real estate he ever owned in America, or perhaps anywhere. The house still stands opposite the railway station, privately owned and occupied, but it does have a plaque on it. 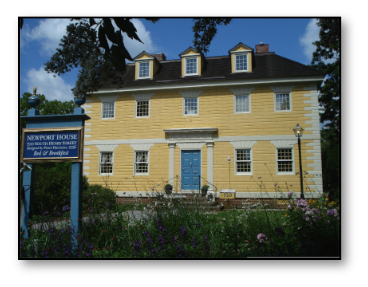 At Newport House you will get closer to feeling the real, 18th Century Williamsburg than at any other accommodations in the area. 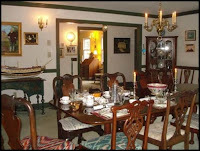 John Fitzhugh Millar is a former museum director and captain of an historic full-rigged ship. John is also the author and publisher of many historical books. Currently, John is working on a book about Lady Elizabeth Wilbraham (1632-1705), the world’s first woman architect. 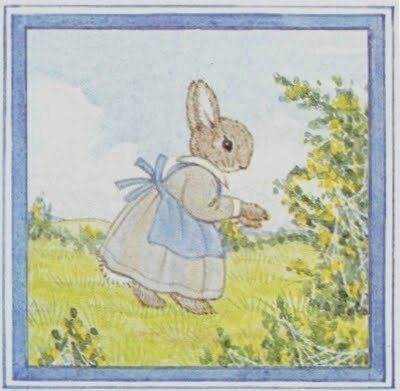 "We could not have had a more pleasant stay anywhere else in Williamsburg – in-house costume-rental, country dancing, history lessons, nutmeg syrup, and … a rabbit! 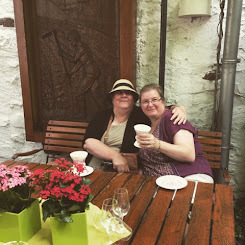 The two of you excel in charm, courtesy, and hospitality, and helped our vacation be truly memorable. Huzzah!" The New English Chamber - one of the two guest bedrooms - is finished to museum standards with numerous period pieces. The New England Chamber has central air and a private Bath Room. For increased privacy, both chambers are above stairs (upstairs). 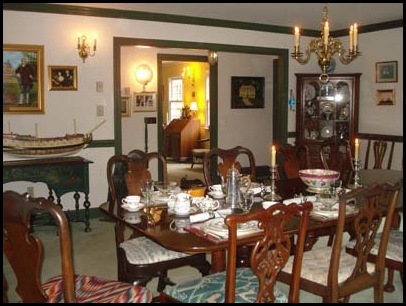 A full breakfast usually includes delicious dishes made from authentic Colonial recipes with fruit and honey from our garden, and interesting historical conversation with your hosts. The Queen bed with stop-fluting was designed by architect Peter Harrison and made by John Townsend of Newport RI about 1770. 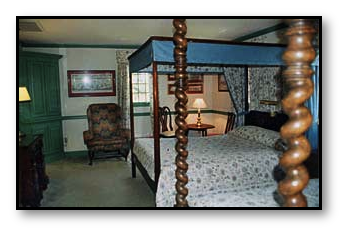 The extra-long twin bed with barley-sugar turnings was made of English walnut in Boston about 1700. The dressing table with block-front decorated by carved shells was designed by Harrison and made by Edmund Townsend of Newport. The bonnet-topped highboy with carved shells was designed by Harrison and made by the Townsend-Goddards of Newport. A 1760 side chair by Harrison and John Goddard of Newport has elaborate tracery. John Millar built the 24-gun Revolutionary War frigate ROSE in 1969-70, which had a 15-year career of successful adventure/sail-training on the East Coast into the Great Lakes, and the Caribbean, as well as one glorious Summer in Europe, educating up to 31 subscribed trainees per week ranging in ages from 8 to 80..until she sailed to the West Coast to co-star with Russell Crowe in Master & Commander: to the Far Side of the World. 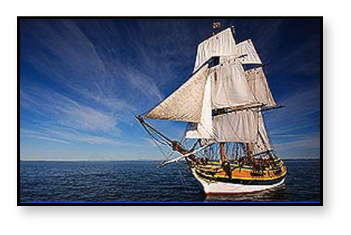 She is now permanently on display as Surprise at the Maritime Museum of San Diego, leaving a big hole in the East Coast sail training scene. 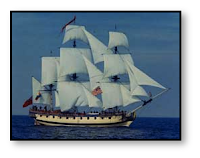 He also designed the brig LADY WASHINGTON (copy of the first American vessel to reach the West Coast in 1787) in the 1980s for the non-profit organization in Aberdeen, Washington, that uses her for port visits and adventure/sail training cruises. She has starred in Star Trek Generations and the first Pirates of the Caribbean movie (The Interceptor). "It's a very fine boat ...ship"
Now named "The Official Ship of the State of Washington," She was recognized for 16 years of service as a goodwill ambassador to the nation and the world and as a floating classroom for young people from across the country. The State of Washington was named after the ship, not after George. Somewhere in the world during the morning hours, the US mostly, people possibly saw the lunar eclipse. I didn't even see the moon as it was overcast last night here in N.E. London and even duller this morning. Didn't even see the sunrise. Well OK I'll be honest, I wasn't even awake! There is not a lot of point setting an alarm to look at something that isn't going to be there to be seen. If I were a deep-rooted believer in the rituals of the Pagan, Druid or Wiccan faiths I would have made the effort - but I'm not, so I didn't. I will light candles and lanterns this evening and switch on all the garden lights (reserved for special occasions) and pay my respect to the Winter Solstice in my own, personal way. I don't believe in deities - any deity. I believe in the Power of the Universe, the energy that surrounds and binds, guides and protects us. The Great Spirit, the Creator, an entity that is responsible for the Soul and Heart of all existence, of all life, in whatever form throughout the Universe - and beyond. All the levels and forms of existence, whether in this World and Plain or elsewhere and on other Plains. I have never liked organised religion - of any Faith - because I dislike being controlled. I have never liked being told what I can or cannot do. I went along with being C of E as a child because that was the religion of my parents, my mother in particular. I think the horrors of WWII and being a prisoner of war disillusioned my father of God, Christ, and Christian Love. I was never comfortable in Church, hymns, especially carols, I liked because the tunes were nice, and any good song is rousing. But the meaning of the words meant nothing to me. In fact I was a little frightened of this All Seeing All Powerful God. This figure of a man in a white beard sternly watching, censoring everything - and threatening the Fires of Hell.. Religion is controlling and censoring. All the beliefs, of whatever religion, is about Control. A "do this" and you shall be rewarded, 'do that' and you will be punished type of control. Get up, sit down. Wear this, don't wear that. Attend Church, pray facing a certain direction at a certain time. Church on Sundays in Sunday best. I understand about wearing decent clothes in order to show respect..... but to whom? God or the local community? I wouldn't walk into a Sunday Service at my local C of E or Catholic Church, or a synagogue, temple or mosque (not that I am likely to enter those latter buildings without an invitation) in old raggedy jeans, low cut top and looking like I've been dragged through a hedge backwards because I would not want to offend other people worshipping there and because I would be embarrassed at their disapproving, hostile stares. I truly don't think God would even notice. Surely He (or She) would be more interested in what I felt, in what I thought in my heart and head and soul not in what I was wearing? A woman decided she wanted to show her husband how much she loved him, so one afternoon she had a scented bath, put on her makeup and made herself look beautiful for her man. As she heard his car pull into the drive she arranged herself, seductively naked, on the couch in the living room. .... "Oh." (says husband very surprised at seeing his wife sprawled naked on the coach) "Oh. You haven't got anything on." "Yes I have." The woman replied, stroking her hand sensuously over her skin. "This is my love dress." "Is it?" the husband replied, turning round and heading for the kitchen to put the kettle on. "I reckon it needs a good ironing then.."
I’ve spent most of the last two weeks sobbing, snivelling or dabbing at a tearful eye. Today I had another good cry. I attended a funeral. It’s always hard when someone dies. Grief is a funny thing. The trouble is, the person who died is not real. He is a character in a radio drama who has been spectacularly killed off. Anyone reading this who is a regular listener to BBC Radio 4 will possibly know what I’m talking about. 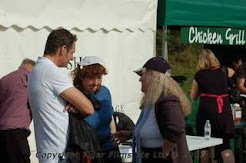 Fans of The Archers will certainly know! Nigel Pargetter is no more. Ok, in reality he never was anyway, but – gosh, I liked Nigel – he made me laugh and he was a nice guy. He loved everyone, and loved life. He was kind, and quiet and gentle. The sort of person you'd treasure as a friend - because you know he would never, ever, let you down. For those who have no idea what The Archers is – or haven’t been keeping up with the story line…. 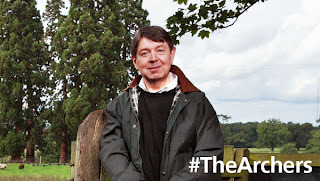 The Archers is “the story of everyday country folk” - a 15 minute daily (except Saturday) radio drama. The 1st of January 2011 saw its 60th anniversary. I have been an avid fan for over 10 years now – although I also remember hearing it on when I was a child. The Archers are the lead characters, presently, Jill Archer & son David, married to Ruth, who run Brookfield Farm. Shula Archer, married to vet Alistair Lloyd. 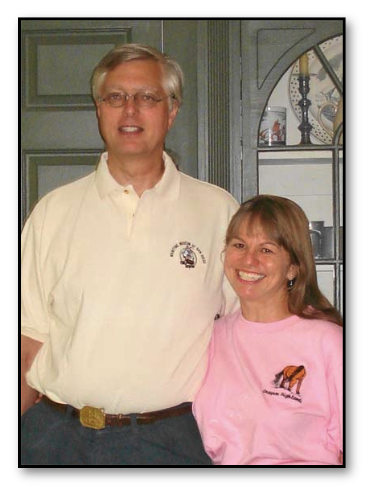 Kenton Archer – manager of Jaxx Bar and Elizabeth Archer – recent widow of…. Nigel Pargetter. The story is set in the made-up village of Ambridge in the pretend County of Borsetshire (basically a Midlands Shire near Birmingham) One of the characters, Peggy, has been in the series since the beginning - over sixty years. 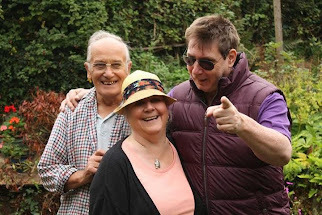 Her story line has been involved over the past few years with her husband Jack Woolley developing Alzheimer’s – a story line which has very much helped with the understanding of how people cope with this tragic illness. There are quite a few main characters alongside the Archers and several story-lines running at once. For instance, we’ve had the local Pantomime (will Fallon actually get together with Harry?) 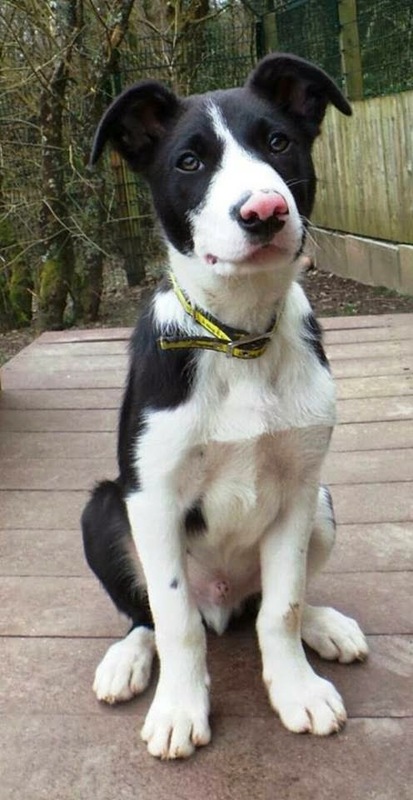 Jamie the teenager doing his “it’s not fair” act – Pip struggling with getting through her exams …. Very much “everyday” issues, which is why I love listening to it. There IS high drama and OMG moments, but there’s also the latest batch of yoghurts in Ambridge Organics which has been labelled wrong. You really do feel that you are listening in to an on-running story of everyday folk in everyday situations – the mundane and ordinary as well as the big whammies. Just like real life. The build up to the 60th Anniversary edition started before Christmas. 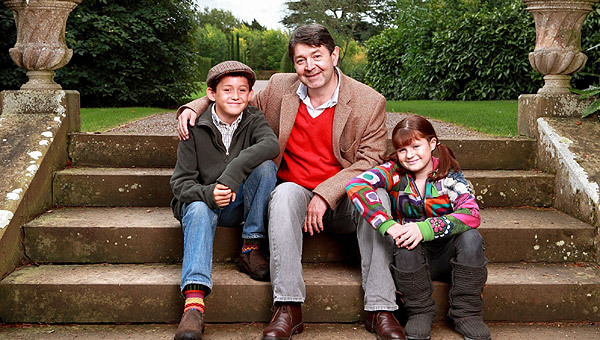 “Being born of country gentry isn't always an advantage in life, as Nigel found out when he inherited the dubious charms of Lower Loxley Hall. More used to playing the loveable fool, he discovered that funding the house's upkeep is a full time job, and he's happy and grateful to have efficient wife Elizabeth alongside him at the helm. Some of his schemes have been a little bizarre, but most pan out well, with Elizabeth's sensible guidance to iron out some of his eccentricities. So why did I personally like him? He was fun. He was always up to some jape with best friend Kenton; he loved life. And he was a romantic. Every year he dreamed up some special surprise for his & Lizzie’s anniversary. 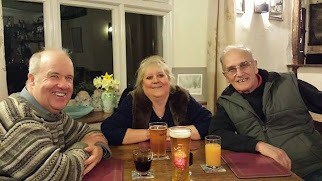 This year it was a surprise meal with a hired chef at Lower Loxley – complete with harpist. Lizzie had no idea! Just before Christmas he found an old brooch of his mothers, a bit dirty & dented, so he scooted around to find a jeweller who could clean it & fix it because Nigel wanted to give it to Lizzie as a surprise for New Year. That was Nigel – the sort of guy we all wish we had as our own. Just after Christmas he & Kenton Archer put up a Happy New Year Banner. It was supposed to go above the main door, but Nigel & Kenton fixed it up across the roof. Pretty high that roof. On January 2nd he and David Archer went to take it down. Most of us Archer’s fans are still in shock. Ah. But that’s the point isn’t it? He seemed real. Nigel was realer than real. I’ll miss him. 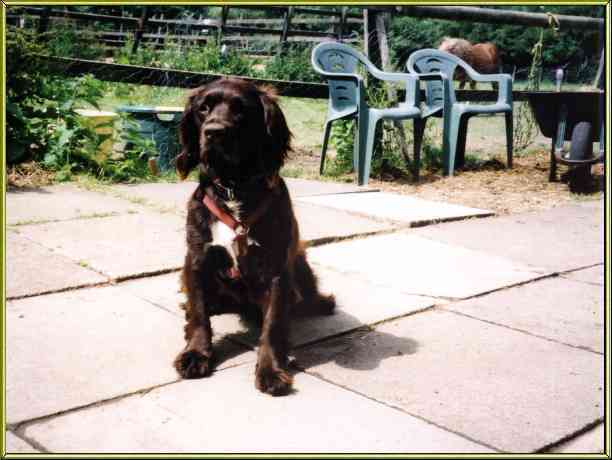 Nigel died in a fall from the roof of Lower Loxley on 2 Jan 2011. Actor Graham Seed played the character of Nigel for over 30 years. My thanks to Graham - in the guise of Nigel - for being such a friend to me for 10 of those years. 1. I don't live as long as you. My life is likely to last about 10-15 years. Less if I am a small pet, like a hamster or gerbil. But I will love you in my own, special way whether I am with you for 1 or 15 years or more. 2. Give me time to understand what you want of me. I only have clues to go on. 3. Place your trust in me, as I place my trust in you. 4. Don't be angry with me for long and don't lock me up as punishment. You have your work, your friends, your entertainment, but I have only you. And often I don't understand what I've done wrong. 5. Talk to me. Even if I don't understand your words, I do understand your voice and your gentle hand. 7. Before you hit me, before you strike me, remember that I could hurt you, and yet, I choose not to bite you because I love and trust you. 10 On the last difficult journey, go with me please. Never say you can't bear to watch. Don't make me face this alone. Everything is easier for me if you are there, because I love you so. And this last thing is the final, loving, service that you can do to take away my pain, even though it is so painful for you. Take a moment today to say thank you to your pets. without our four legged family and friends. 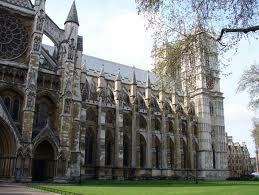 The London venue for the Royal Wedding - Westminster Abbey - is steeped in over 1,000 years of history. Benedictine monks first came to the site in the middle of the 10th century. The Abbey has been used to crown the Kings and Queens of England since 1066, for royal marriages, and is the final resting place of seventeen monarchs. History books will tell you that the first king to be crowned was William of Normandy on Christmas Day 1066 – but this is Norman propaganda (which sadly has lingered all these hundreds of years) the FIRST king to be crowned was Harold Godwineson (King Harold II) on 6th January 1066. He died at the Battle of Hastings, defending his Kingdom and people from foreign invasion by the Normans. The present church of Westminster Abbey was begun by Henry III in 1245 and is one of the most important Gothic buildings in England, with the medieval shrine of King and Saint, Edward the Confessor, still at its heart. The cruciform shape of the general plan first used in the 10th Century, though now hidden by subsequent additions, is still retained, but the original central and western towers, the richly sculptured stone walls, stained-glass windows, cloisters, chapter-house, dormitory, infirmary etc of the monastery have now all disappeared. The Abbey was built on a marshy area called Thorney Island, surrounded by tributaries of the Tyburn river – also no longer visible, it is now channelled underground. King Edgar (959–75) gave the original monastic community at Westminster substantial lands covering most of what is now the West End of London. Almost a hundred years later King Edward the Confessor re-built the Abbey during his long reign (1043-1066). It was an important element of that time, and so I incorporated the Abbey's construction into several scenes in my novel about King Harold II, both its building and its hasty consecration on 28th December 1065 when the elderly King Edward was dying. The Abbey is clearly depicted in the Bayeux Tapestry. The scene starts with showing a man climbing up to the roof to erect a weather vane (indicating that the building work has only just finished) and the hand of God coming down from the sky to bless its consecration. The next scene is King Edward's burial. One-tenth of the revenues of the kingdom was spent on building it, while the defences of London, the coast, and the Welsh marches rapidly fell into decay. The village of Charing was where the English and foreign workmen employed on building the abbey lived. Edward’s royal palace of Westminster was built at more or less the same time – that stood where the present Houses of Parliament are located, right beside the River Thames. This Tapestry image is not the present building where Prince William and Kate Middleton will be married – but you can see some similarities. There were two towers in King Edward’s design at the western end – probably, in Saxon times, as impressive as the ones that stand there today. All that remains of Edward the Confessor's actual building, though, are one large arch in the southern transept, the substructure of the dormitory, a few traces about the choir, and the Chapel of the Pyx, a narrow room with a vaulted roof on the south of the abbey, divided down the centre by a row of seven plain pillars with single capitals, once used as the Treasury of England where the regalia of the Scottish kings, including the Holy Cross of Holyrood, were kept. Henry III rebuilt the Confessor’s church, providing the Gothic building we have today. Henry’s own burial there in 1272 established Westminster Abbey as the principal royal burial place for the next 500 years. The monks at Westminster Abbey wore the black habit of the Order of St Benedict, they led a simple and self-denying life, were celibate and owned no personal property. 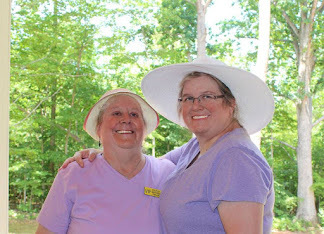 The celebration of the daily services in praise of God was their first duty, and work, often farm work, and reading took up the rest of their time. Very few people, even kings, could not read or write so monasteries were the main source of education. As they became richer and more monks were ordained as priests manual work ceased and they became more concerned with the administration of their Church lands and possessions. The numbers of monks varied through the centuries from 30 to 60, although only 24 were left when Henry VIII dissolved the monastery in 1540. 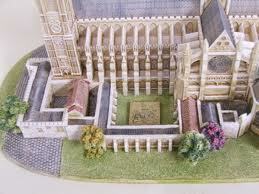 Harold, Earl of Essex, is talking to his wife, Edyth Swanneck, about King Edward’s building plans for Westminster Abbey. 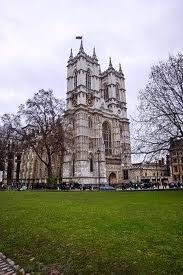 The construction of the abbey at Westminster was barely further advanced than Harold’s smaller building project at Waltham, for prolonged and incessant rain had put it behind schedule. The Westminster foundations were thick with mud and flooding had always been a problem along that marshy stretch of the Thames. The periodic rise and fall of the river helped somewhat, though, for the gravel and alluvial soil brought down with the current were steadily silting up the tiny tributaries that separated the scatter of small islands. The spread-finger estuary of the Tyburn was no longer as wide, and Thorney Island itself had more than doubled its length of riverbank since the time when Cnut had first enlarged the crude little chapel of Saint Peter into a monastery for twelve monks. Edward had in mind nearer sixty monks and a building superior to anything yet known. His abbey was to be the finest, tallest, grandest complex of buildings in all England. Looking at the ooze squelching around their feet yesterday afternoon, Harold and his father had harboured strong doubts of the practicality of the dream. Although a chill breeze was blowing off the river Thames – the wind often became more inclement with the flood tide – Edward insisted on personally inspecting the rising grandeur that was his abbey and expected those at court to accompany him. Leofwine, Harold’s younger brother, arriving at Westminster, had been invited to visit the building site almost before he had risen from his knee on greeting the King. “We shall all go!” Edith, the Queen, trilled as she ensured Edward’s cloak was tucked around his body and his cap fitted snug over his silvered hair, and, “Do you want your gloves, my dear? You know how your hands chap from the cold.” Treating her husband more as an ageing father, Edith had found her niche as the dutiful wife who looked to his every daily need, tending his apparel, cutting his meat, warming hands and feet, rubbing salves into his aching knees. Edward contentedly basked in her various attentions; it was all he had ever wanted, someone to mother him. He patted her arm, smiled an aimless, distant acknowledgement, talking all the while to Leofwine. 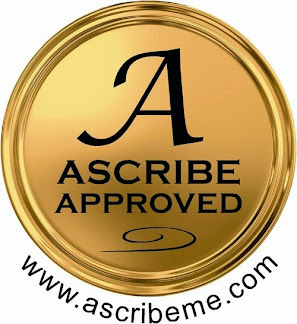 “You will be most surprised at how far the work has progressed – why, it actually begins to look like an abbey at last! You younger ones, you must come also,” Edward added, waving his arm at the children. “The fresh air will put colour in your faces.” He threaded his arm companionably through Leofwine’s. “We have been having problems with the labourers: every so often they decide to stop work for one trivial reason or another – the ramps are too steep and slippery, the conditions too wet. Yet I am paying them good wages, they get hot food once a day and I provide a Christian burial for those unfortunates who, through their own carelessness, meet with accidents. Only the other day a man stupidly stood right under a hoist – the rope had frayed and the stone that was being lifted…well, he was crushed instantly. Dear Leofwine, you should have heard the wailing from his widow! We told her it was his own fault for standing where he did; I gave her a penny from my own purse, that seemed to satisfy her.” Edward, talking rapidly, stepped through the doorway and out into the sunlight. The King took great pleasure in having the younger folk around his court, their laughter a contrast to the sombre faces of his councillors and lords. There would be over-much sobriety, he often declared, were it not for their gaiety. 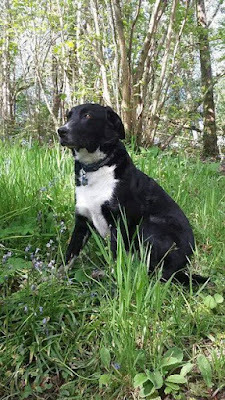 Edith would agree with him, though never did she forget that were it not for his own refusal of intimacy, her children would be among those who romped together like inexhaustible hound pups. The ground ascended gently from the palace, slowing Edward’s initial exuberant pace and bringing the breath puffing into his lungs. Perhaps it was his increasing age that made the slope seem the steeper? Next birthing day he would be sixty years of age and they told him often that he ought to take more rest. Piffling nonsense! He might be missing a few teeth and his sight be more blurred than once it had been, his hearing not so sharp, but he could still sit a horse and gallop with the rest of those young whelps when a stag was running. And his mind was alert, his bladder and bowels controlled; he was not yet the dotard they claimed him to be. Ahead of the party, the east end of his abbey stood in all its splendour, a vast, soaring structure of Reigate stone, the sun’s rays striking down through the wind-hustled clouds, highlighting the lantern tower as if God Himself were pointing out its wonder. The square, lead-roofed tower stood six storeys high, rearing into the sky above the crossed section of north and south transepts, the army of surrounding roof turrets standing like a cluster of guardian sentries. The tiled roofing, above apse, transepts and upper part of the nave, had been set in place as soon as the walls had risen to keep the stone and timber structures below dry. Once the rain was kept out, work had progressed rapidly. From this eastern approach the holy place looked almost complete, for as was traditional with cathedral and abbey constructions, building ranged from east to west. The height of the northern transept, immediately ahead of the royal party, successfully hid the slower progress to the western end – which consisted of the half-built northern wall of the nave, one tower flanking the western entrance completed but for its roof and its potential twin standing as a single storey of stonework. There was still much to be done. They stood a moment, the group of onlookers, heads tipped back, gaping up at the great height of the tower, marvelling at the diminutive figures of men clambering over and along the higgle-piggle of scaffolding, not one of them seemingly concerned about the distance down to the ground. For many of those watching – save for those fortunate few who had made pilgrimage to Rome, or visited the grand new cathedrals that were springing up all over France and Italy – this was the tallest building they had ever seen. It was certainly impressive. Edward entered through the cavern in the north transept that would, one day, be the northern entrance door and proudly led his audience into another world. The square tower was borne over the crossing by an elaborate array of unobtrusive stone arches, like the branches of a gigantic oak supporting the canopy above. Spiralling stairs reached up inside, set in artistic symmetry against plain walls that rose to the carved beams of the roof. Windows, set at especial angles, allowed in wide shafts of sunlight that harboured a myriad of floating, dancing particles of dust. It was a beautiful church. Uncluttered by unnecessary ornamentation, its clean lines gave an overpowering sense of length and height, a continuity of unbroken space stretching from one end to the other that, when finished, would cover more than 330 feet in length. The nave would support six double bays per side – two longer than the cathedral of Jumièges. Arches, each resting on plain cylindrical columns below a triforium stage with a gallery surrounding the vaulted aisles, and above that, the clerestory shadowed below the eaves. Further windows pierced the solidity of the lower walls, bringing light cascading down into the enclosed space. 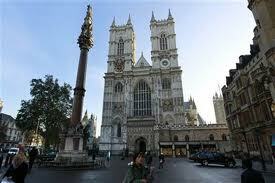 The abbey of Westminster was to be long and high, but there would be no gloom within. God’s house, lit by God’s hand. His audience nodded; no one dared comment that the abbey of Westminster was, at this moment, anything but a place of peace. So much movement and noise! All bustle and business. Men swarming like worker ants; carriers of wood, stone, water and lime, men recruited locally and paid by the day. Skilled craftsmen were as numerous as the labourers. Carpenters, masons, stonecutters; those who mixed the mortar, their essential task demanding huge concentration. A building was, after all, only as strong as the mortar that bound it together. Mixed poor, and a wall would crumble as the rain washed and seeped and the wind buffeted. Somewhere within the network of ladders, pulleys, ramps, cranes, hoisting gear and treadmills, the architects were overseeing the transferral of the design on paper into reality. Hammering, sawing, the squeal of rope on wood as hoists took the enormous blocks of stone from ground level up to the heights of the roof; the indignant bellowing of oxen, the roar of the blacksmiths’ bellows. Grunts and shouts, the overall swell of talk and laughter, grumbling and half-muttered swearing. The tramp of feet echoing on hollow ramp, the chink of chisel on stone, rumble of heavy-burdened wheels and the screech of metal against metal. The squeak of wheels as a man lumbered past with a laden handcart, sweat standing out on his face, biceps bulging. And through it all, the swirl of grit, wood-chips and shavings. White stone dust on the floor, hanging in the air; layers deep along grooved edges of pillars and columns, of steps and crevices, on the sills of the windows. Dust that settled across the shoulders and in the hair of the working men…. Before the last of the light faded from the wet December day, the twenty-seventh of that month, a tiler had managed to climb up the height of the scaffolding to place a golden weathercock in position upon the roof of Edward’s proud Westminster Abbey. Only from the west, from below the choir and from the outside, did the place resemble a building site. On the morrow they would enter through the north door, see only the splendour; the newness of the eastern end. Harold stood alone facing the cloth-draped, bare altar. No candlestick, no salver or crucifix, nothing would adorn this holiest of places until the consecration and blessing. There was no sanctity within this wondrous building, nothing save the emptiness of space, of height, of soaring walls, pillars and arches. With night beyond the tiers of narrow windows, the darkness crowded close, only the lantern in his hand and the few candles that burnt in wall sconces creating dim islanded pools of cheerful yellow brightness. Yet there was a presence here. What, who, Harold could not decide. Nothing sinister, not a feeling of being spied upon, no, just a comfortable awareness of not being alone. Something, some faint-echoed shadow of expectancy of waiting. God perhaps? Harold wondered. Was He already here, waiting to be formally welcomed into His house? The Earl of Wessex walked slowly towards the first in a row of wooden benches placed across the nave in readiness for the morrow. Tomorrow, there would be people here, many people. Tomorrow, too, the articles of Holy Church would be blessed and placed upon the altar, the choir filled with song, prayers offered and accepted by God - and God himself would no longer be a distant tingle of breath, a whispered promise, a sigh upon the wind. Harold’s footsteps echoed on the stone floor. Left. Right. Tap. Tap. The sound reverberated through the chancel arches, down into the nave, through the enclosure of the choir. Bouncing off the walls, flying up to those rafters that soared high, as high as heaven. Wine and water would be sprinkled over the altar while blessings were intoned and the chanting of the Benedictine monks echoed clear and sweet beneath the high vaulted roof. The perfume of incense would permeate through the odour of new-cut stone, timber, mortar and sawdust. As the Christian is baptised and confirmed by water and oil, so the altar of Saint Peter would, on the morrow, be dedicated to the Lord by anointing. The hand of God would touch Edward’s abbey, but the King himself would not be there to witness the final glory. Edward was too ill to leave his bed, was nearing death. Outside in the darkness, the drizzle of rain beat its tedious rhythm on roof and rutted mud alike, Harold sat, wearily leant his forearms across his knees. The quiet, he had thought, might help to sort out his wild-running thoughts. He chewed his lip, tapped the pads of his thumbs together. His idea was not working. A side door opened and a novice monk, unaware of Harold’s presence, entered and began dowsing the candles. The hour was late and until God dwelt here in His house, economy ordained the saving of tallow. The lad started as he noticed the Earl sitting there, and stammered an apology. The boy nodded that aye, it would. Walking back to the north door, Harold paused, staring out at the rain. He would have to cross to the palace soon, seek his chamber, the warmth of his bed. Edyth was awaiting him, but he was unwilling to go to her, to ask for her quiet love, her gentle comfort. This one night, out of all those they had shared together, he did not know how he could face her. She would probably be already sleeping, for the hour was late. Most in the palace would have sought their beds, save those few of importance - the two Earls Eadwine and Morkere and Archbishops Stigand and Ealdred, who would perhaps have remained discussing matters of state between themselves, finishing the jugs of wine and tankards of ale that half an hour or so ago Harold had been sampling with them. He looked across the winter darkness to the palace complex. A crack of light showed through one of the closed shutters of the King’s upper-floor chamber then flickered as a shadow moved beyond. His doctor? Priest? It would not be the Queen, for she had gone to bed to nurse her angry tears almost as evening had fallen. She had spoken few words to Harold this Christmas - all of them harsh and uncompromising accusation. He snorted disdain. Did she care about Edward? Had she ever cared? Edyth had said this morning that his sister was hiding behind her fear, that were she to think about the King, then the reality of her coming loss would be too much to bear. Instead, she was wallowing in grief for their brother Tostig. Harold had not disillusioned Edyth by telling her that he knew his sister better. She grieved for the impending loss of her sovereign status, for the fact that Tostig had let her down - and she blamed everyone for their joint downfall save herself and Tostig. He sympathised with her, but Edith could not remain Queen. Her calculated greed, placed so implacably above the good of England and its peoples, had made that an impossibility. The first English King to be crowned in Westminster Abbey.